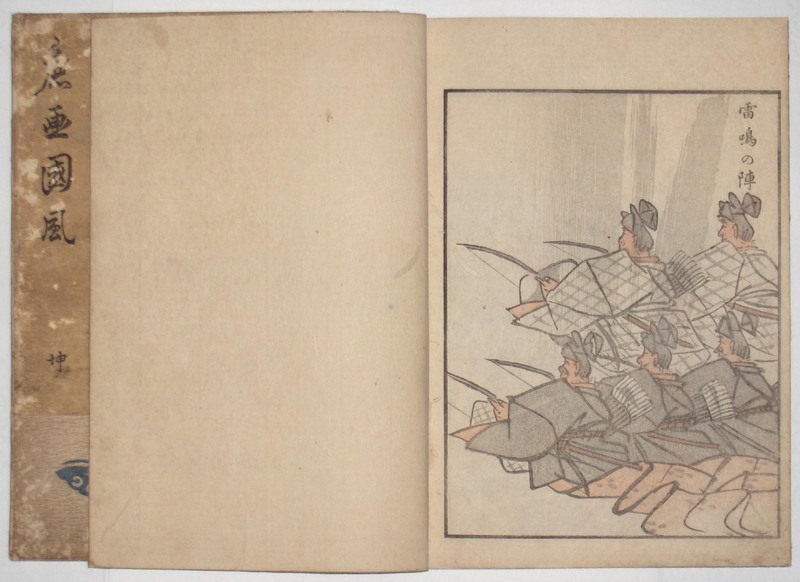 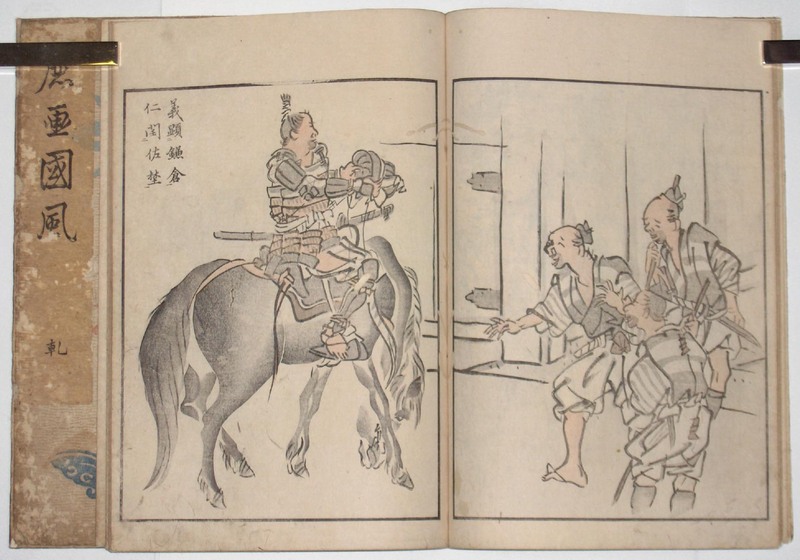 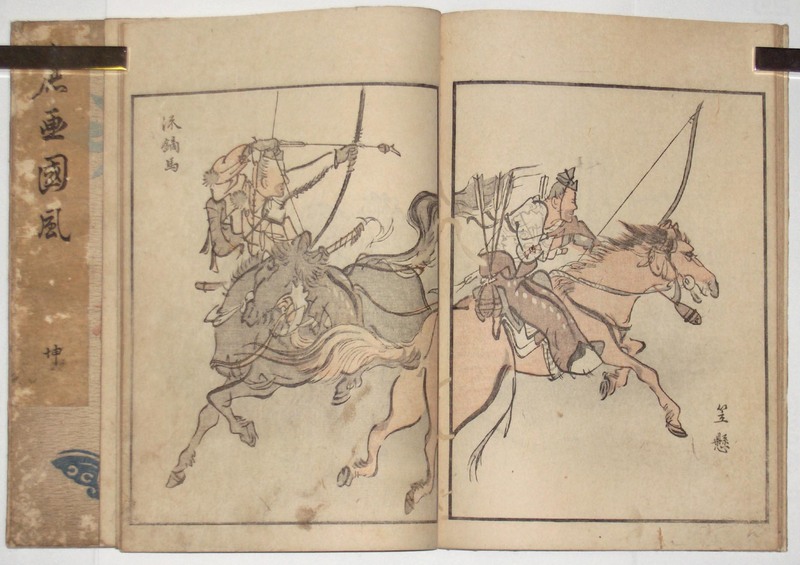 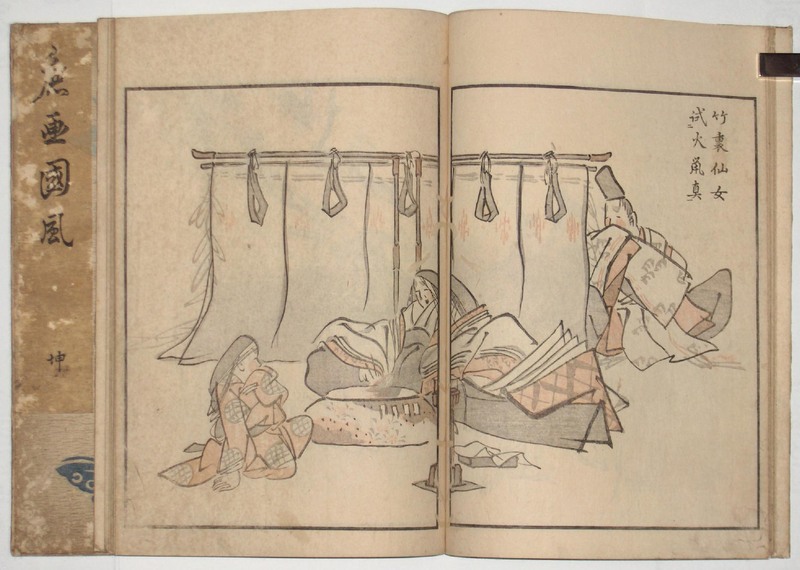 Two large volumes complete: Soga kokufu, “Sketches of National Customs.” A rare work with wonderful images which Vignier, in Odin, described as “Tirage d’une delicatessen remarquable.” Published by Yoshinoye Nimbei, Kyoto; Tsuruya Kiemon, Edo; Kawachiya Kihei and Kawachiya Kichibei, Osaka, 1828. 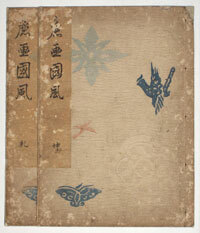 Original creped and printed covers with original title slips. 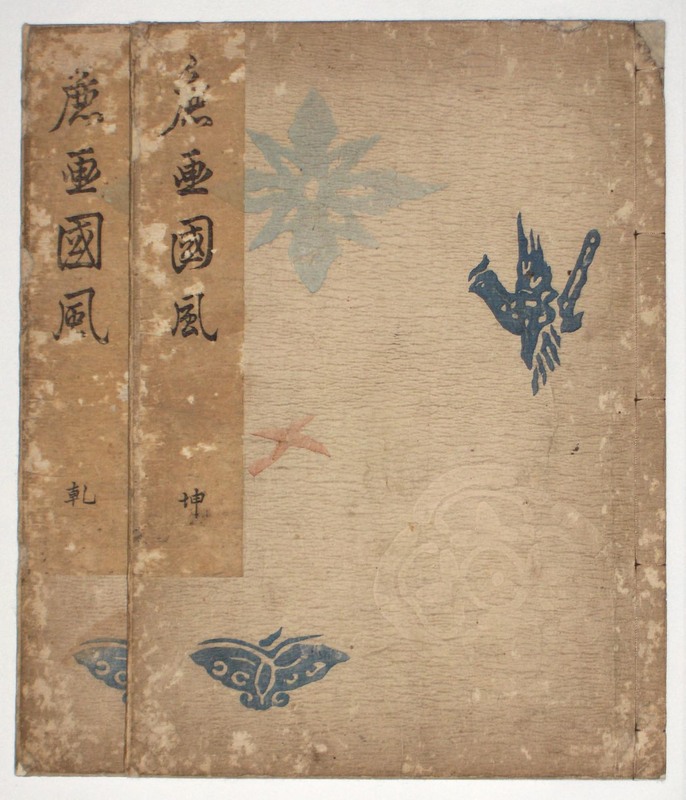 Two backed wormholes running through two volumes which do not detract from the lovely compositions, otherwise very good.